Early this morning, a wrong way driver traveled six miles up I-55 and crashed into another vehicle on Lake Shore Drive – critically injuring both drivers. The Jeep slammed into the Toyota Corolla on the ramp from southbound Lake Shore Drive to the outbound Stevenson. The injuries appear to be non-life-threatening. Both drivers were being treated at Northwestern Memorial Hospital. Alcohol is suspected as a possible factor in the accident. Car crashes can happen when you least expect them and can produce serious injuries. If you or someone you know has been injured as a result of a car accident, Dixon Law Office can help. Our attorneys have the experience to get you the results you deserve. Contact us at 888-354-9880 or through our website to learn more. An 18-year-old has been charged with a DUI after crashing into a Chicago Fire Department engine on Tuesday night. The crash happened at South Halsted and 128th Place and sent nine people, including three children, to the hospital. Christopher Caston was charged with failure to yield to an emergency vehicle, failure to stop at a stop sign, and driving with no proof of insurance. The children and two adults are hospitalized (four at Advocate Christ Medical Center and one at Stroger Hospital in Chicago) in critical condition. The four firefighters were treated at MetroSouth Medical Center in Blue Island and are in good condition. If you or someone you love has been injured in a car accident, Dixon Law Office can help make things right. Our office has the experience to see your case to a just resolution. Contact us at 888-354-9880 or here to see how our attorneys can assist you in your case. lives of consumers at risk,” said Dixon Law Office founder G. Grant Dixon III, an avid cyclist himself. If you or someone you know has been seriously injured in a bicycle accident or as a result of a product defect, call Dixon Law Office at 888-354-9880 or contact them here. We have the experience to help. If you or a loved one has been seriously injured in a bicycle accident, call Dixon Law Office at 888-354-9880 or contact them here. They have the skill in the courtroom and on the bike to help you get the results you deserve. The name Jack Jablonsky may mean nothing to you but it the latest in a long line of injuries to kids who play sports. Each year, more than 38,000,000 children and adolescents participate in organized sports in the US according to the US Government. About 7,000,000 of those will suffer injuries this year. In fact, injuries are the leading cause of death to children 19 and younger. If you or your child has been injured in a football game, soccer game, baseball game, or other sporting event, call Dixon Law Office at 888-354-9880 or contact them here. They have the experience to get you and your family the compensation you deserve. Call today. The National Transportation Safety Administration has recommended that all cell phone use – emails, texts, and calls – be banned. The agency notes that thousands of American have died in crashes in Illinois and around the country from distracted driving. If you or a loved one has been injured or killed in an automobile crash or trucking accident, call Dixon Law Office at 888-354-9880 or email them here. They have the experience to get you the compensation you deserve. You may have seen those shoes that claim to provide extra tone in your legs and buttocks if you will simply buy the shoes and walk in them. The manufacturer of one of those shoes, Reebok International, Inc., has agreed to pay a whopping $25,000,000 to settle a charge brought by the U.S. Federal Trade Commission. The FTC charged that Reebok falsely advertised the shoes with such claims. “The FTC wants national advertisers to understand that they must exercise some responsibility and ensure that their claims for fitness gear are supported by sound science,” said David Vladeck, Director of the FTC’s Bureau of Consumer Protection. To settle the charges, Reebok agreed to a Federal Court order to stop making claims that toning shoes and other toning apparel are effective in strengthening muscles, or that using the footwear will result in a specific percentage or amount of muscle toning or strengthening, unless the claims are true and backed by scientific evidence. “It is pretty clear that the FTC is cracking down on false advertising. This is a good thing because consumers rely on manufacturers to be truthful. This shows that they often are not,” said Dixon Law Office founder, G. Grant Dixon III. If you or a loved one has been seriously injured or killed by a dangerous product, call Dixon Law Office at 888-354-9880 or email us. We can help. We all understand that driving while drunk is dangerous and wrong. We would never close our eyes for 5 or 6 seconds while we speed down the road. 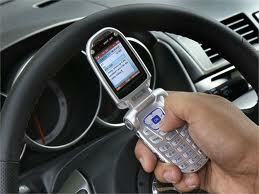 Studies show that texting while driving is as dangerous as driving drunk. Looking at a test message, or worse sending one, often takes 5 or 6 seconds. We take our eyes off the road while we do it. It is so dangerous. Where u at? That simple text cost one girl her life. Watch this powerful video that shows the consequences of texting while driving. If you or a loved one has suffered serious injuries because someone was texting while driving, email Dixon Law Office or call us at (888) 354-9880 today. We help people injured and killed by the negligence of others every day. We can make it right. Though rain and cold weather prevailed, a local charity was able to raise significant funds in the Race for ACES. Dixon Law Office was one of the largest donors to the event and Dixon Law Office founder, G. Grant Dixon III, is an ACES event board member. ACES is a charity created to help teens and young adults get urgent mental health treatment for little or no cost. To read more about the event, click here and read a news story about the ride. Dixon Law Office is one of the title sponsors for the First Annual Le Tour de Burbs Rally to raise money for ACES. When teens need counseling and support, there is often a gap in available, affordable services even when insurance covers the visits. ACES—Adolescent Counseling, Education and Support—is a non-profit organization that helps fill that gap. The organization’s objective is to provide resources that may prevent adolescents from making decisions that could derail their futures when they are most vulnerable. They serve adolescents in Cook County’s Lyons and south Proviso townships. The RACE for ACES will be held the afternoon of September 18, 2011 and is open to everyone. Families, teams and individual cyclists are welcome but you don’t even have to ride to participate. There will be games, food and fun for everyone. There will be bike decorating for kids, warm up exercises and a free bike safety check for riders. As part of the event, the La Grange Theater is showing the classic movie, “Breaking Away” at 7:00 p.m. There will be a great raffle with major prizes including a new bike from the Wheel Thing. Come out and support us! To sign up go to our website www.raceforaces.com. When a pedestrian is crossing the street, they assume they are safe. “This woman was doing exactly what she was supposed to do. She was crossing with the light and in the crosswalk. The bus driver just blew it,” said G. Grant Dixon III of the Dixon Law Office. The bus driver made a left turn into the crosswalk, striking the woman. Witnesses described how the woman went flying and laid unconscious on the ground. Sadly, the woman was very seriously injured. She was hospitalized for days, missed three months of work, endured more than two years of therapy, and left with permanent pain. Her entire life became ruled by pain. After retaining Dixon Law Office, the staff immediately began its work of showing how terrible the conduct of the driver was. Investigation revealed the driver was fired after the incident and had a number of prior problems with her employer. After a lawsuit was filed, the work continued. “We filed motions claiming that the lawyers and witnesses for the bus company had hidden evidence four times in this case alone,“ Grant said. They continued to fight the case all the way through trial. The trial result was impressive. Grant and his team were able to secure a verdict of more than double the last offer. Grant continued, “all my client wanted was to be sure her medical bills were paid and some compensation for her life of pain. I am proud that we were able to do that even though the bus company fought us every step of the way.” She and her husband were so happy with the representation, they recorded a video for Dixon Law Office, available here. Dixon Law Office staff has tremendous experience in catastrophic injury and wrongful death cases involving bus accidents. We understand the severe injuries caused by these accidents, and we know how to handle the insurance companies. Please call our office at 708-354-9880 to schedule an appointment or contact us online. Your consultation is free. We at Dixon Law Office are a thankful bunch. We are thankful to live without pain. Every client comes to us with a story. That story always ends the same: pain. Inevitably, someone did something seriously wrong. That wrong caused our client to get hurt. It may have been the driver that ran a red light and hit the bicyclist. It may have been the truck driver who was speeding. It may have been the doctor who did not run that test. It may have been that employer who removed the guard from the machine. In each case, the victim ends up hurt or killed. For those that survived, that hurt leads to a life lived in pain. We are thankful to live without pain. We are thankful to work where we do. Every day, we have the privilege of helping clients who work in very difficult conditions. Many of our worker’s compensation clients are forced to work in dangerous places. The construction site is not safe because the boss will not supply safety equipment. The manufacturing plant is full of tripping hazards. The office worker is forced to work in a chair that is painful to her back. They all have bosses that illegally threaten them if they refuse or complain. Many work on but end up with serious injuries. We are thankful to work where we do. We are thankful for today. For all of our clients, the day they were hurt just another day. They neither expected nor believed that the day would end any differently than the day before. But it didn’t. For them, the day ended very differently. For them, that day ended like no other. A catastrophic injury. Amputation. Pain. For some, death. We are thankful for today. If you or a loved one has been seriously injured or killed because of the fault of someone else, call us at Dixon Law Office. We have the training and experience to get you the compensation you deserve. Our results prove it. Call us today at 708-354-9880 or contact us by email. We are here to help. Some of the most horrific and tragic crashes involve large trucks and semis. Many of these trucks weigh more than 80,000 and cause tremendous damage when involved in a crash. Every commercial motor vehicle must be operated in accordance with the laws, ordinances, and regulations of the jurisdiction in which it is being operated. However, if a regulation of the Federal Motor Carrier Safety Administration imposes a higher standard of care than that law, ordinance or regulation, the Federal Motor Carrier Safety Administration regulation must be complied with. If you or a loved one has been hurt in a trucking accident, call us at Dixon Law Office. Our expert staff has years of experience handling all kinds of trucking crash cases. We will hold the company responsible and fight to recover the compensation you need to pay medical bills and to cover lost income and other expenses. For a free consultation, please call 708-354-9880 or contact us online. This past Monday, a strong thunderstorm rolled through the Chicago area leaving a trail of devastation in its wake. Hundreds-of-thousands of people were left without electricity, telephone, or cable television. We at Dixon Law Office were not spared from the damage. Electricity and our internet connection were severed for two days. Because of advanced planning, we had a back-up generator that kept the phones and computers running. Still, the storm reminded us of how much of a disruption to our normal lives a storm like this can cause. During that time, we were reminded that what brings clients to our door is a storm of a different type. For nearly all our clients, they did nothing to cause the trauma in their life. They were victims of another person’s poor choices. Our clients walked out their doors that day thinking it was just another day. For most of them, that day ended with pain and trauma. Sadly for many others, they never came home again. When speaking with our clients, they often express how they feel powerless. If they had the power to stop the pain, they would. If they had the power to bring back that amputated limb, they would. If they had the power to turn back time, they would. If they had power to alter the course of that car or change that doctor’s actions, they would. But they are powerless. One of the greatest privileges we have at Dixon Law Office is to help those powerless people. While we cannot stop the pain, regrow a limb, turn back time, or change that doctor’s actions, we can hold those who do wrong accountable. The system is not perfect. But when we can look at our client and say we have held the wrongdoer responsible, we know we have given power to the powerless. If you or a loved one has been left powerless because of the wrongs of another, call us at Dixon Law Office. We can help give power back to the powerless. In 2009, more than 51,000 people suffered an injury while riding a bicycle that was serious enough to require a trip to the emergency room. 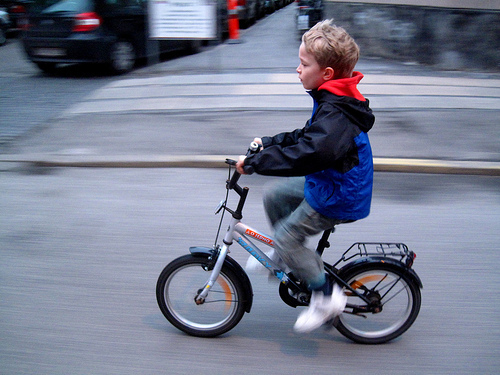 That means about every 10 minutes, someone is injured in a bicycle accident. The same study revealed that of those injured, about 17% were children under the age of 14. “What is scary is that many of those involve drivers not paying attention. The bicyclist is doing what they should, the driver is not,” Dixon Law Office founder G. Grant Dixon III said. 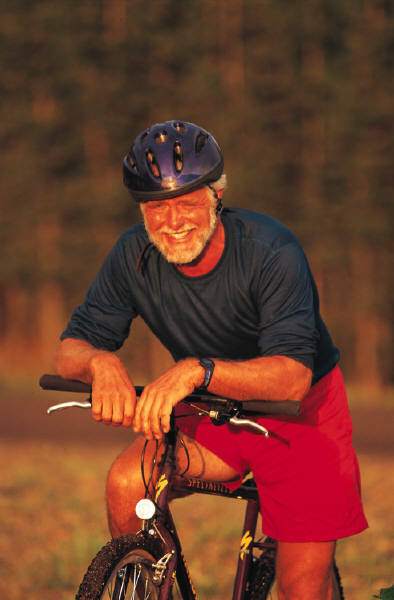 If you or a loved one has been injured or killed in a bicycle accident, call Dixon Law Office. We have the experience to handle your case and get you the results you deserve. of case imaginable. If you or a loved one has been injured or killed at a swimming pool, call us at Dixon Law Office. Our experience will get you the compensation you deserve. June is National Safe Driving Month. At Dixon Law Office, we have represented hundreds of clients who have been injured in automobile accidents. In 2009 alone, nearly 5,500 people died from accidents caused by distracted driving. Every single one of these deaths is preventable. If you pledge to not drive distracted – keep your eyes on the road and use Bluetooth devices – Motorola will give you 50% off any device of theirs that you buy. Great program!